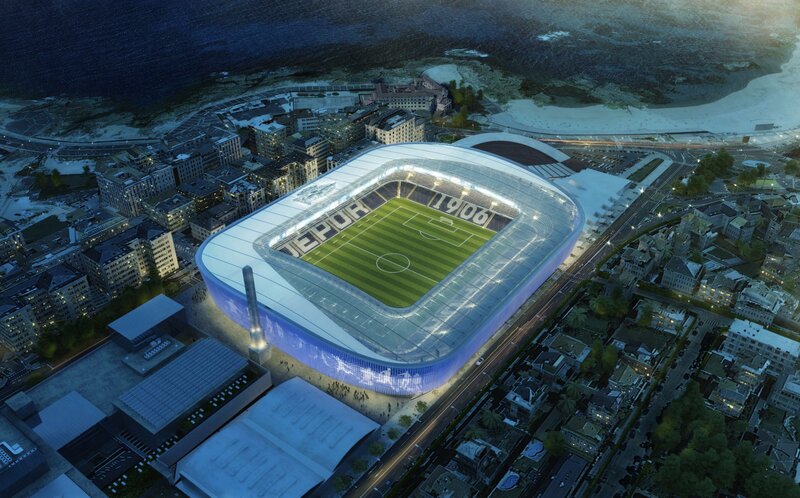 Selected by the municipality of A Coruna in November, 2017, this concept foresees a major upgrade of the famous Riazor, home to Deportivo. Two most crucial areas are the roof, subject to numerous damages and poorly maintained, and new facades. The roof will be completely replaced along the south and north sides, while both ends (east and west) will only see new cladding laid. 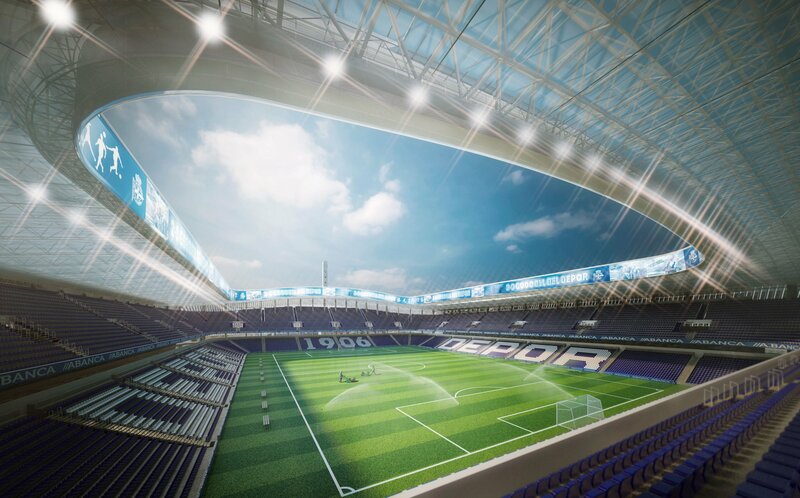 All of the roof will be covered with polycarbonate panels, which will have higher translucency in the south and turn milky in other parts. 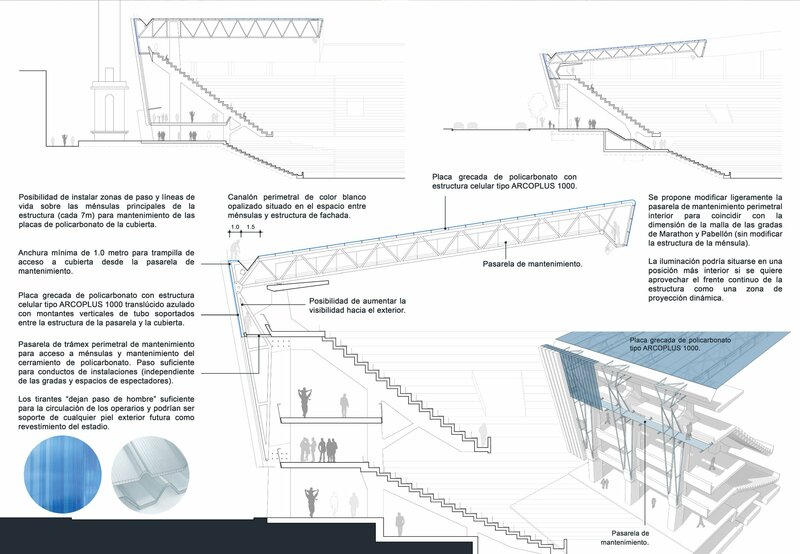 Also, facades will have blue polycarbonate cladding, additionally covered with vertical blinds. 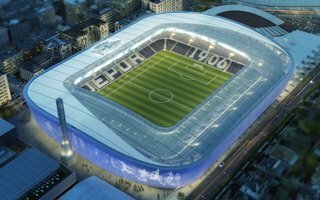 Initial time frame was set for 2018-2019 completion but the selected design enabled shortening the duration to just 8.5 months, of which only the 92 days between seasons would require work on site. The remainder would be spent on prefabricating. No expansion and only several areas to be upgraded. 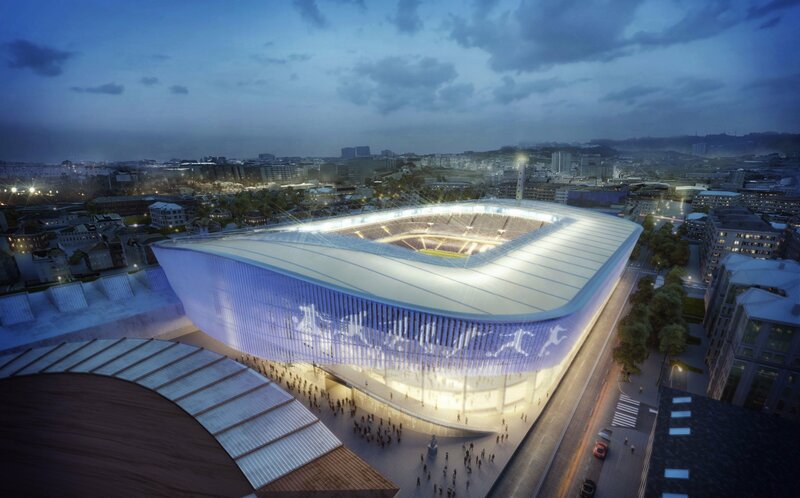 And yet the famous Riazor, home to Deportivo La Coruna, will completely change its image in 2018. Works on site will last just 124 days.